I think the British Hill Climb season runs from August to October. I've never got round to doing a series of hill races, the timing has always clashed with other trips and the start of the cyclocross season. This year I decided to do a very short hill climb season, extremely short, just one event in fact. I knew I wanted to pick a long climb, more than the standard 2-3 minutes power climbs. So when I saw A_Cycling's slightly unique event I knew that was the one. It was different because it was a mass start race as opposed to the time trial format of the usual hill climbs. It was also suitably long at 8km (a total of 15km with the neutralised start section). 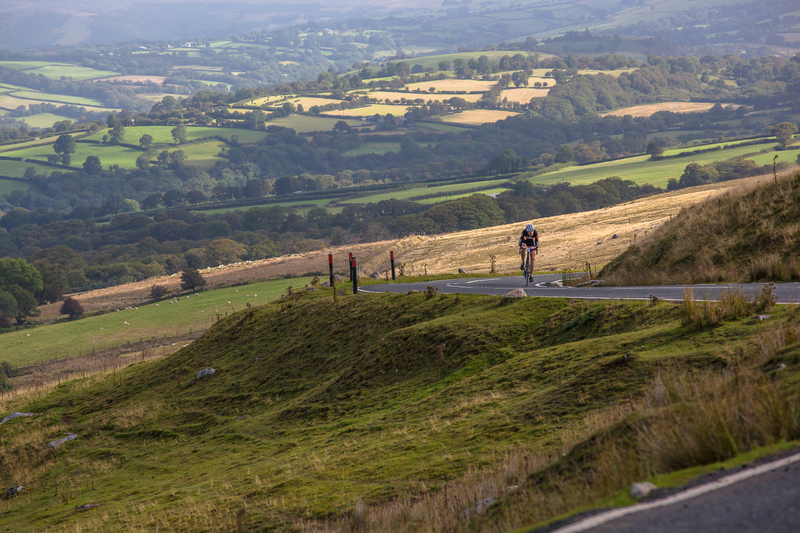 I'd never ridden the Mynydd Ddu climb before, so a few hours before kick off I rode up to decide how best to attack it. The first half could have been any country road in the UK, a twisting gentle rise with high hedges, but once over a cattle grid it opened up to reveal a beautiful landscape and the second half was basically four long straights between switchbacks of slightly increased gradient to the summit. As I turned at the top to descend back to the start I hatched a plan. I didn't want to wait until late on and attack, that's not my style. I decided that if I went full bore at the very start, get a gap, I might be able to disappear in the twisting first half and get a big enough gap that when the course opened up and the field realised how far I was ahead it would be too late for anyone to catch me. It was a risky tactic to play, there would be no plan B, no second chance, it was all or nothing. I used the 7km neutralised section to size up the field and make my final decision on how to play it. Yeap stick my guns, so as soon as the flag dropped, click up a few gears, power, power, power, the long strike for the win had begun. Initially one rider latched on, but I couldn't change the plan now, so I just had to plough on full gas. The trouble with pushing it flat out from the start, is that I would be progressively deteriorating as the race played out. I was suffering early and giving it everything. However the twisting nature of this first half really was perfect as I was pretty quickly out of view of the rest of the field. In full oxygen debt and only halfway I crossed the cattle grid. I knew that in few hundred metres the other riders would be able to see me again and as I turned the first of the switchbacks I would see them. There was four riders together clear of the rest of the pack. I knew what is now in the minds of one or two of those riders. They'd be cursing the fact that I was allowed to get clear and they would immediately launch an attack to get me. At the second switchback my guess of what was happening behind proved true, one rider was now clear in second and closing down on me, fast. So less than a kilometre to go and my fate was in the lap of the mountain gods. I couldn't react in any way to my current pace or the speed the rider behind was closing on me. I just had to hope I'd timed it correctly. I was maintaining the only pace I could, my body had no power left to add and my legs were shot and unresponsive, mentally retaining form was my only option. Oh and don't look round. Whatever you do Simpson don't look round. The windswept summit was not helping me and tantalisingly I could see the finish line from a far in that endless last few hundred metres. 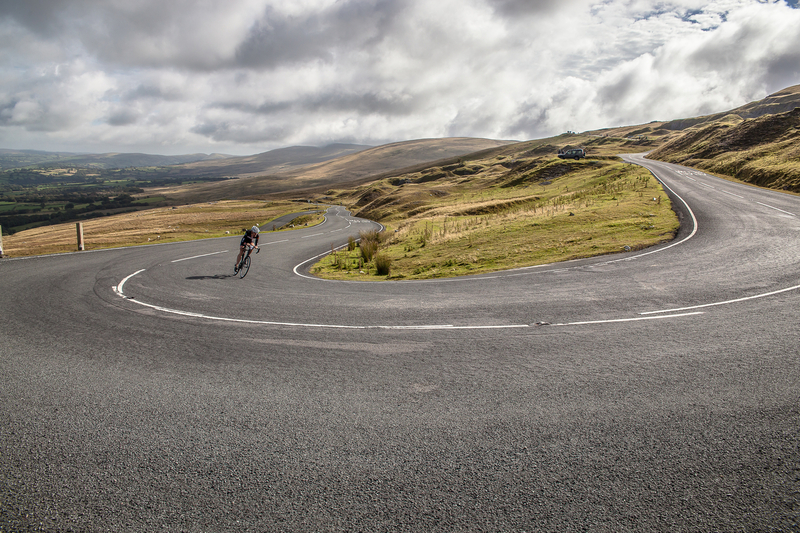 The plan had worked......just and so ended my short hill climb race season on one of the longest climbs in the UK. Maybe next year I'll take on a full season and the National Champs, but for now my short 2014 hill climb season was done, 20 minutes after it had started, one race, one climb, one win.